United-States. 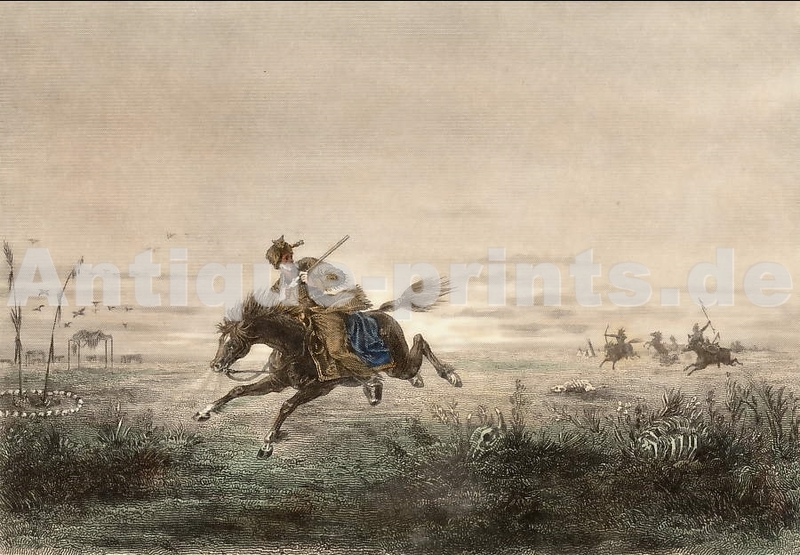 Original steel engraving, engraved by F. Delannoy after E. Saintin. 1866. Good condition. Original hand-colouring. 17x12cm. Matted.